Wow, 4,161 of you have read this. Change is inevitable! It is one of life’s constants –be it in our personal, professional or business journey. What is even more important in influencing our progress and progression in life is not so much how often change takes place, but our response to change –as an optimistic, pessimist or pragmatist. It is our response to change rather than the frequency of change that can dent our confidence and self-esteem or cause us to soar to even greater heights because of change. Because of the inevitability of change, it is essential we develop change ready attitudes and skills to prepare us to handle change effectively. This does not mean necessarily that we avoid the pain that can accompany change in some circumstances. Rather, it means we develop the skill and insight to view change from a perspective of either how can I convert this negative into positive or this barrier into opportunity. A few years ago in developing an Inspirational Speech for a group of mainly professional women, I titled it ‘Beyond Tomorrow’. One of the statements I recalled from that rather memorable speech was my charge to the group to ‘Convert stumbling blocks into stepping stones’. Some may argue there are differences between the sexes in terms of how we respond to change and its effect on our confidence. Therefore, when organisational, career, business or personal changes throw up more barriers than opportunities, more painful realities than pleasure, think of beyond the present. What actions can you take to get back on track? Instead of focusing only on getting back on track, should you be forging a new path? As Ralph Waldo Emerson recommends “Do not go where the path may lead, instead go where there is no path and leave a trail”. Some may argue there are differences between the sexes in terms of how we respond to change and its effect on our confidence. However, while that may be debatable, it is a fact that there are fewer famous quotes about change made by women than ones made by men. That’s not to say that women are less concerned about change. Changes especially when unexpected can be an ideal opportunity for some to make that much needed change in jobs, careers or entrepreneurship. This can result in pursuing a passion and realising long-held ambitions, instead of merely going along with the flow and hating almost every minute. 1. What potential opportunities have I identified as a result of recent changes in my life? This can be a great boost to confidence and help you move forward if you can see the positive results of recent changes that may have been outside your control. 2. How am I dealing with decision-making trigged by change? Signs of not being willing to move forward from change can be seen in a reluctance to make timely decisions and choosing instead to delay decision-making. 3. If the change is in my personal life, do I prefer to be out instead of at home? For some, it’s easier to avoid ‘difficult’ conversations and relationships, instead of dealing with issues before they escalate. Avoidance is not always the most effective and timely solution! 4. For changes at work, e.g., new manager, transfer to a different team, recent promotion. Do I dread coming to work and feel angry about being there? 5. For those made redundant recently or seen others at work made redundant. Am I afraid that I’ll be next to get ‘the call’? Confidence can be at an all time low because of fear about the financial implications personally and for the family over the next few months. This can be compounded with anger about being forced to search for a new role and low morale following ‘rejection’ by former employers, colleagues and recruiters. 6. For managers promoted recently. Do I feel out of my depth in the new role and has that eroded my confidence? Feelings of inadequacy can be enormous if one feels their skills are not ideal for the role and have dominant personalities on their team that reinforce that view. After answering the above questions, on a scale of 1 to 10, where would you rate your confidence? 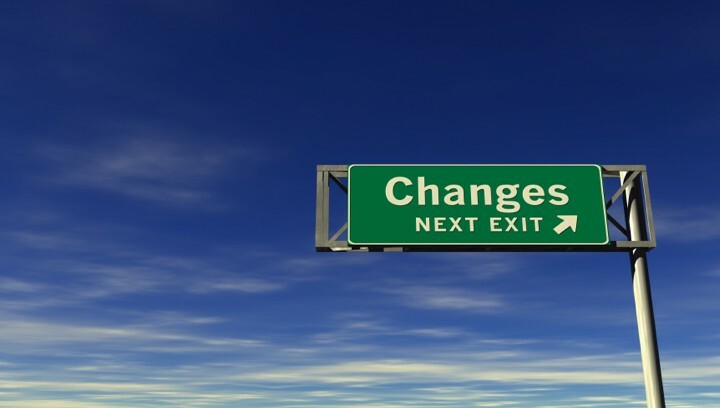 one of the first steps to dealing with change is acknowledging that it has happened. Change can dramatically alter our levels of confidence. Feelings of overwhelm, being undervalued and rejected, either at home or at work, can demoralise even those with high levels of self-confidence. This can be the time to (re)start your Success Journal. That’s where you make a note of at least three positive experiences every week. You are allowed to log positive experiences only, no negative ones allowed. Every positive experience logged is another simple step towards rebuilding and regaining your confidence in YOU. If you require support to ensure you continue to boost your confidence, not devalue yourself, find yourself a professional with the skills to support you along this journey. Be it at work, at home or in life as a whole, one of the first steps to dealing with change is acknowledging that it has happened. The next step is determining how to respond, even as we recognise some of the consequences of change. Choosing the path of ‘doing nothing’, does not undo the past it may, however, delay taking effective action and in the process we could be missing opportunities. Sometimes, when change occurs through the closing of one door the opportunity may arise through an open window. So, it’s not always the open door we should be looking for but the window can provide a view of alternatives you can pursue and to do so with confidence. Veronica Broomes is the founder of Talent Management in Teams a brand dedicated to helping individuals and groups manage change, improve leadership skills and raise performance in banking and financial services firms, large public organisations and global businesses. In addition to face to face support and online webinars, Veronica co-delivers the ‘Life After Redundancy’ seminar in Central London.